For 2015, the Audi R8 returns essentially the same as the 2014 model. An optional sport exhaust with black finishers appears on the V10 as a $2,500 option. 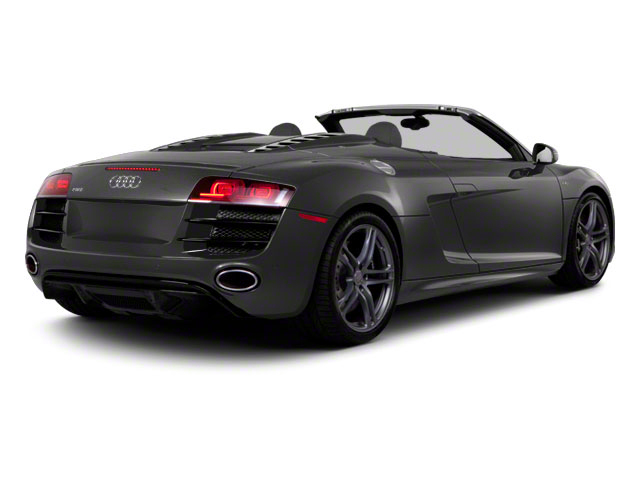 The 2-seat, mid-engine R8 sports car is offered in Coupe and Spyder body styles, in V8, V10 and V10 Plus trims. The 4.2L V8 produces 430 hp and 317 lb-feet of torque, while the 5.2L V10 delivers 525 hp and 391 lb-feet of torque. In the V10 Plus, that same engine cranks out 550 hp and 398 lb-feet of torque. Audi states that the V10 Plus coupe is capable of hitting 60 mph in just 3.7, on its way to a 198-mph top speed. All engines are paired with a standard 6-speed manual transmission, while an all-new dual-clutch S-Tronic automated manual transmission is optional. 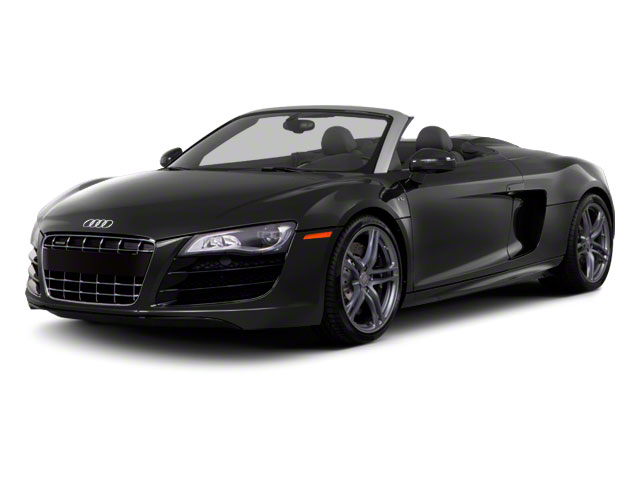 All R8 models benefit from quattro all-wheel drive. 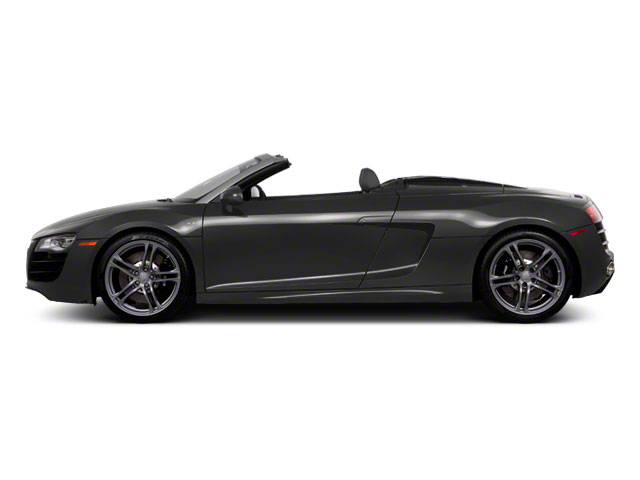 R8 Spyder convertible models feature a power soft-top roof that can be closed or opened in just 19 seconds and can be operated at speeds up to 19 mph. The roof also features triple-layer insulation, a carbon-fiber cover and a heated rear window. All R8 coupe models include a glass window over the lighted engine bay, while Spyder models come with a vented aluminum cover. Spyder models also have special side air intakes. 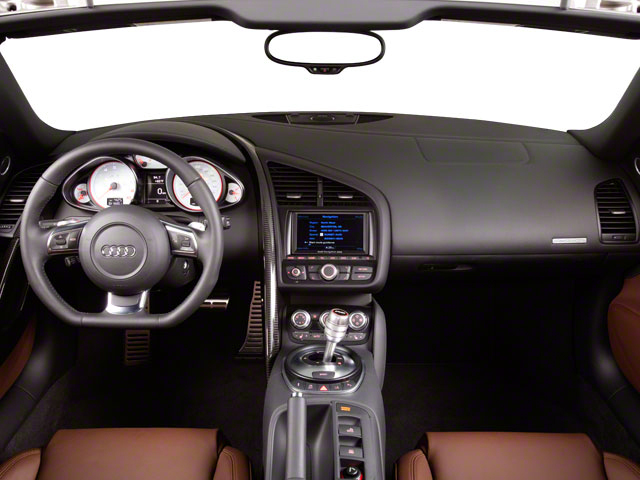 The interior of the R8 is a luxurious place. The arched, cockpit-style instrument panel of this two-seater allows quite a bit of interior space. The 8-way power adjustable seats come upholstered in soft Napa leather or suede-like Alcantara, and the interior can be customized with various trims and inlays. Standard features include automatic climate control, a multi-function sport steering wheel, Audi concert radio with seven speakers, Bluetooth hands-free connectivity and more. V10 models add Audi Navigation with real-time traffic information, as well as a 465-watt, 12-speaker Bang & Olufsen sound system. Safety is ample as well--front airbags, seat-mounted side bags, and knee airbags are all included. The lightweight aluminum space frame construction plays a role in keeping occupants secure. Audi's R8 coupe and Spyder are exotic cars without the fuss; they have the interior comfort and appointments of a luxury coupe, along with an impressive list of features, yet they're nearly as quick as (and far, far less expensive than) the Lamborghini Gallardo models with which they're closely related. The R8 is distinctive and unmistakable in its own right. All trims include an advanced "quattro" all-wheel-drive system that maximizes handling and performance in all conditions. Considering the Lamborghini heritage and all the practical positives, the Audi looks like quite a bargain.